Having repeat customers is the lifeblood of any business. So how do you ensure a steady flow of repeat business? The secret—no matter what industry you’re in—is finding and keeping automatic customers. These days you can conveniently purchase virtually anything you need through a subscription. According to John Warrillow, this emerging subscription economy offers huge opportunities to companies that know how to turn customers into subscribers. 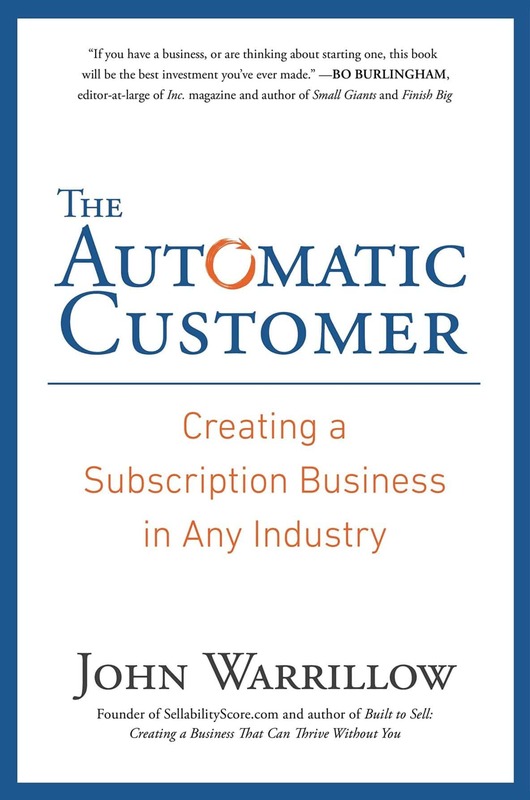 Automatic customers are the key to increasing cash flow, igniting growth and boosting the value of your company. This book also shows you how to master the psychology of selling subscriptions and how to reduce churn and provides a roadmap for the essential statistics you need to measure the health of your subscription business.